I can't believe how much this looks like real yarn! 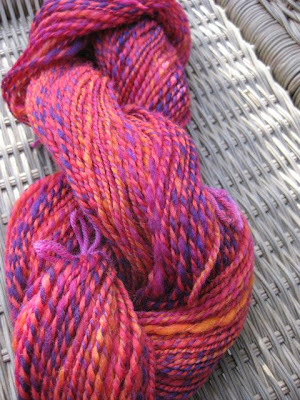 I'm so proud of this spinning... and I'm really glad this yarn is going to my mom since the wheel was a Christmas gift from her. 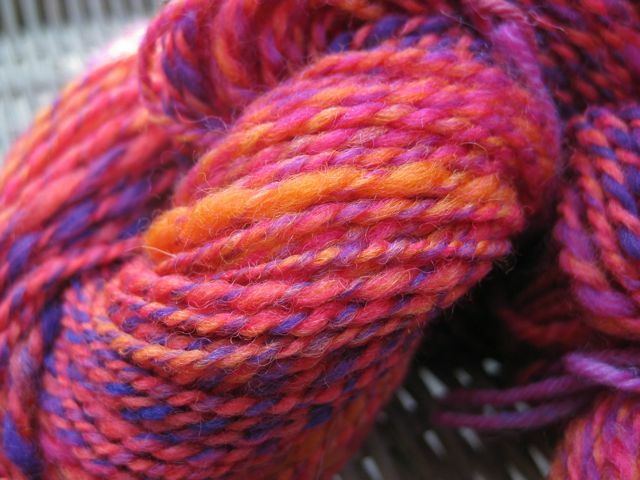 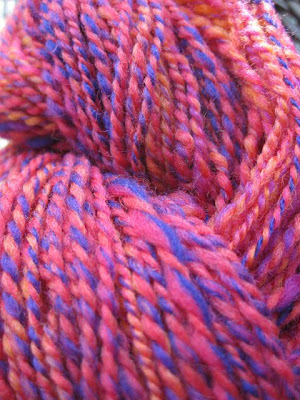 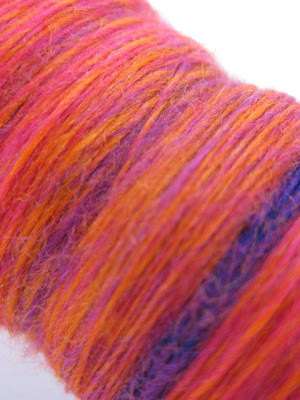 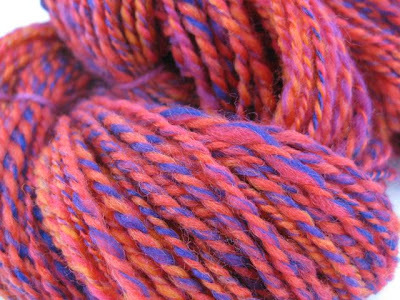 Would you have ever guessed that those wild crazy colors would turn into such a rich almost mellow blend when spun up? 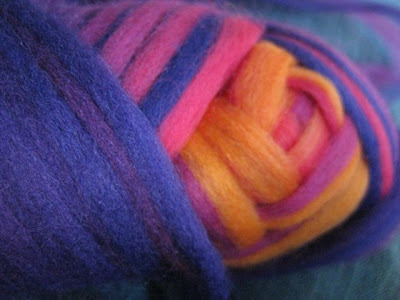 The name popsicle yarn almost doesn't fit this anymore (I guess in the future I should wait until the yarn is spun before naming it.) 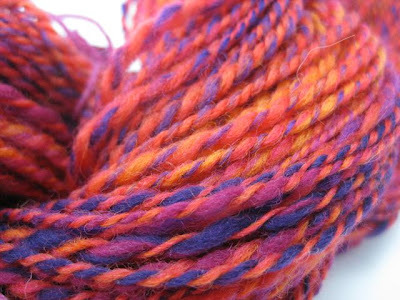 But I won't ever forget the wild electric colors of this roving- and how it felt like summer in April when I started spinning it. 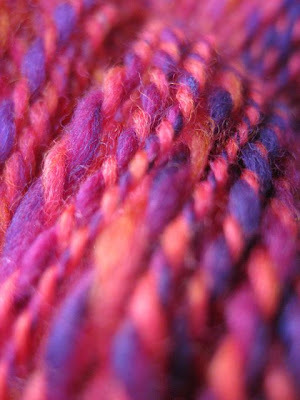 Simply beautiful yarn. 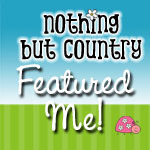 What a thoughtful gift for your mom - and how wonderful that she bought you the wheel!